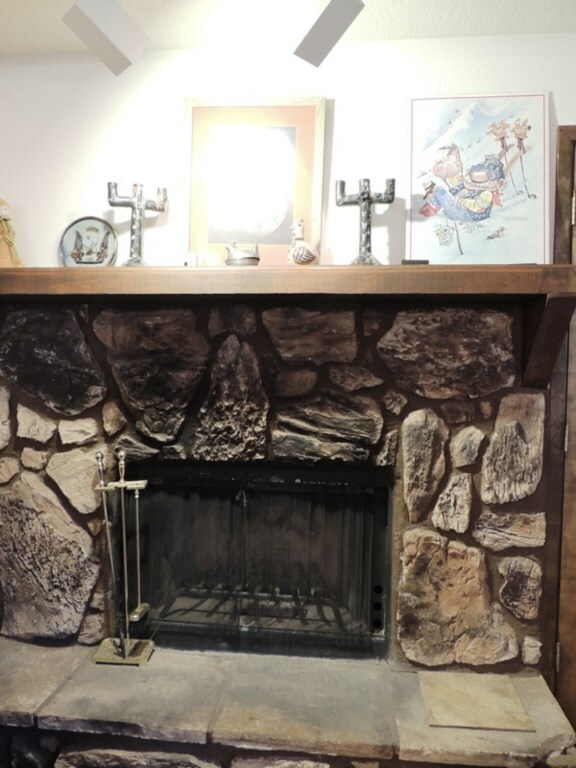 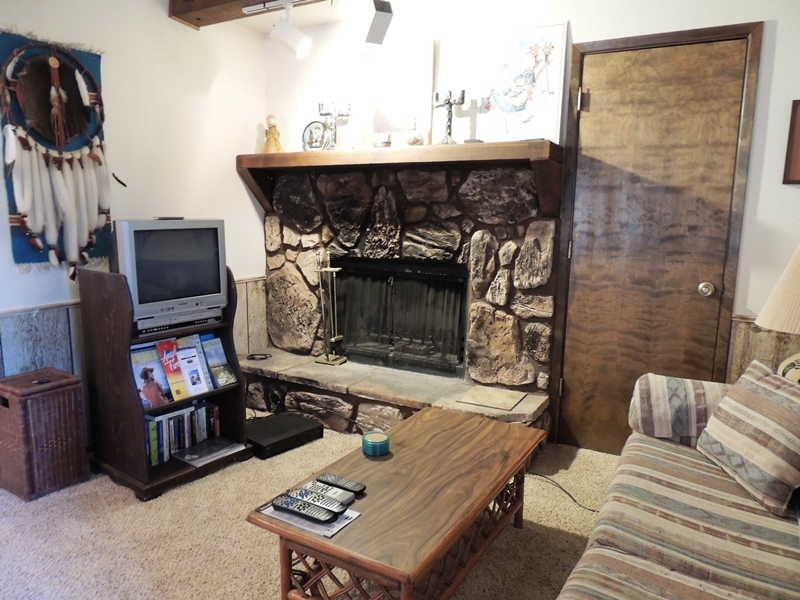 This second floor condo features a wood-burning fireplace, television and sleeper sofa. 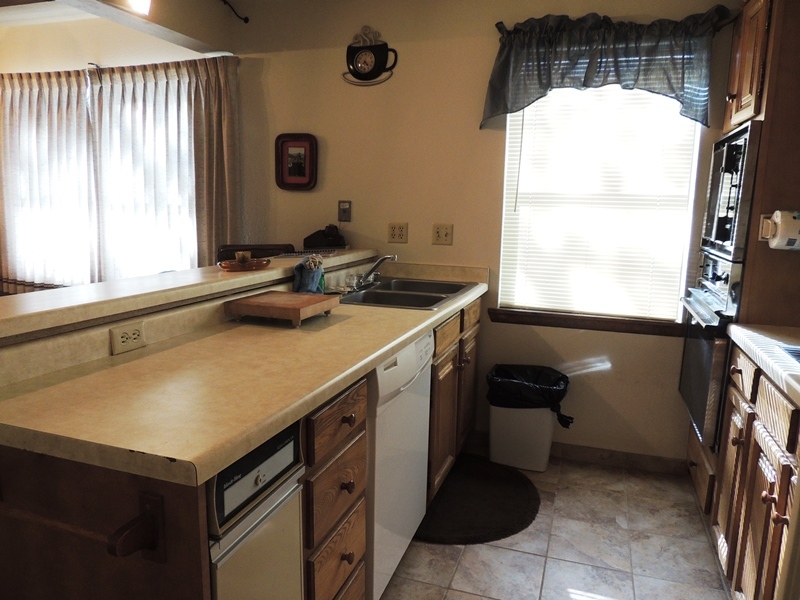 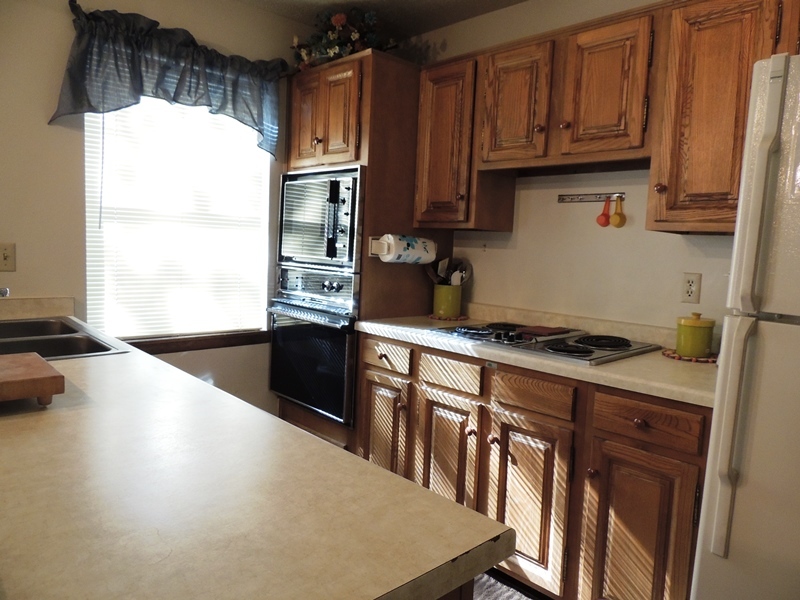 There is a fully equipped kitchen for all your cooking needs. 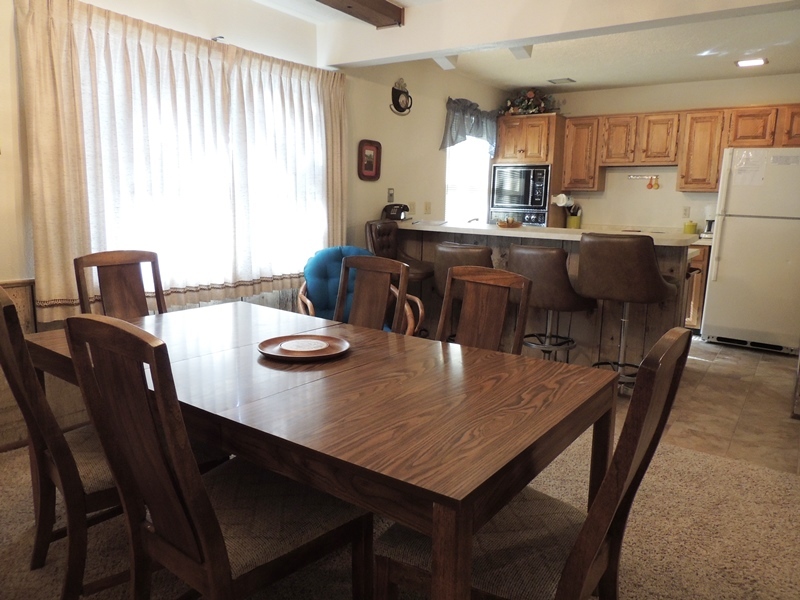 There is a dining table for six. 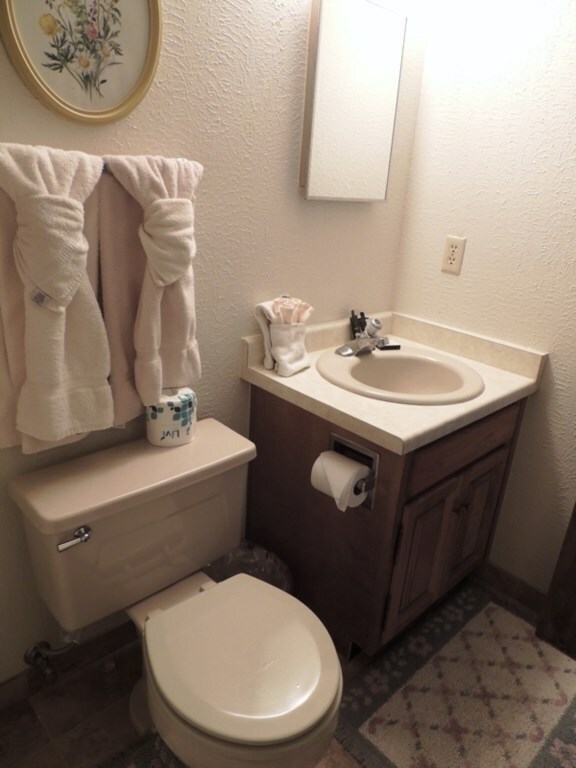 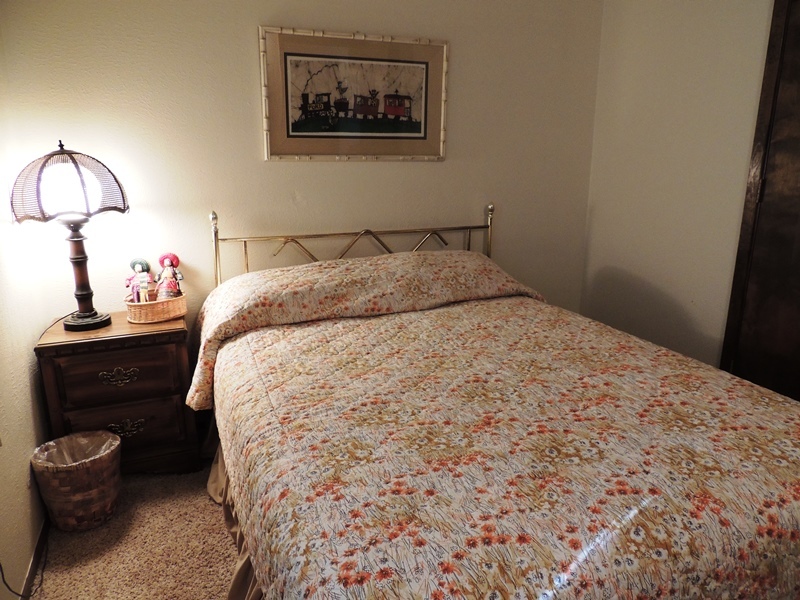 It is beautifully furnished and roomy. 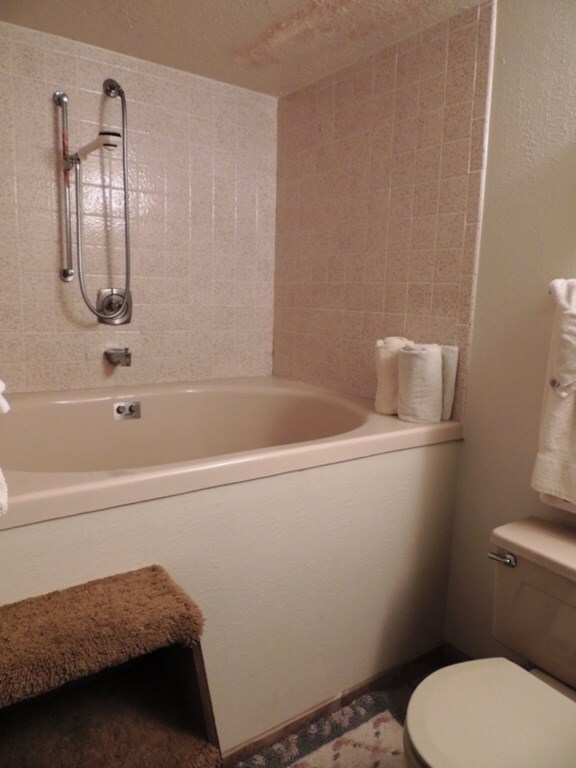 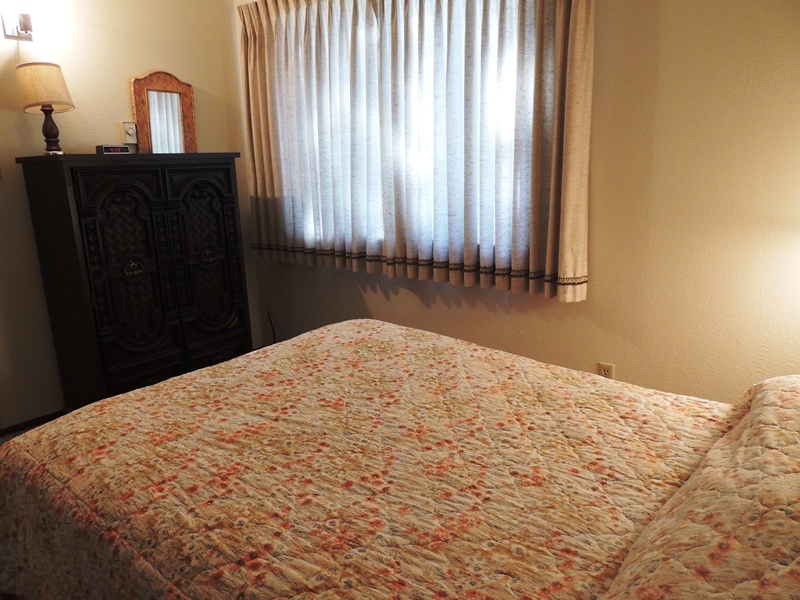 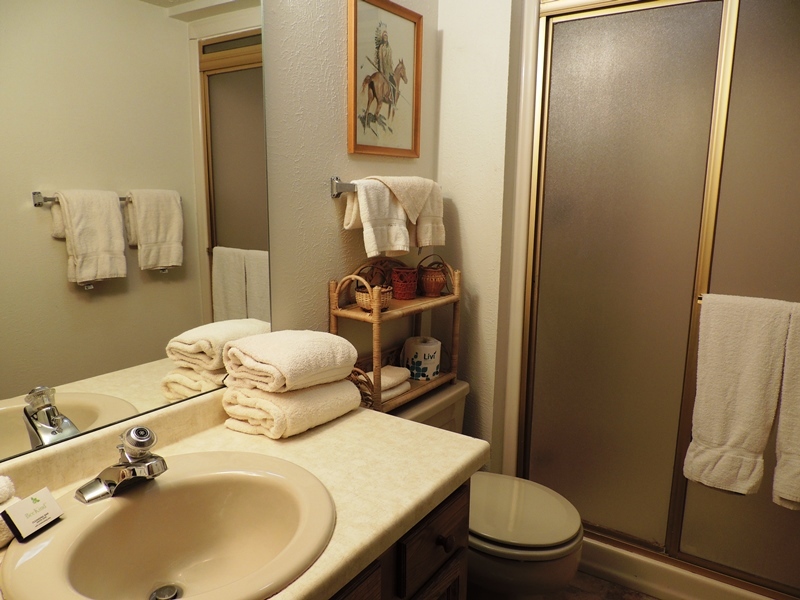 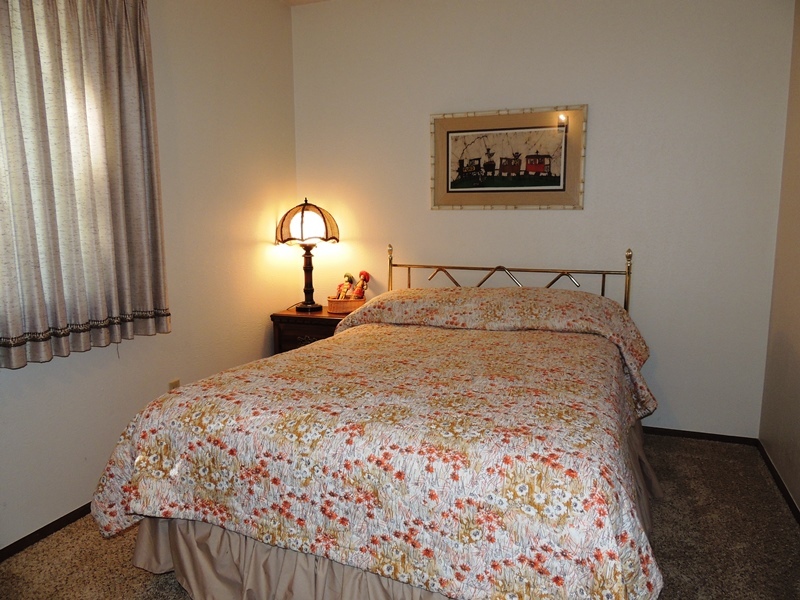 The master bedroom has a queen-size bed and an attached full bathroom. 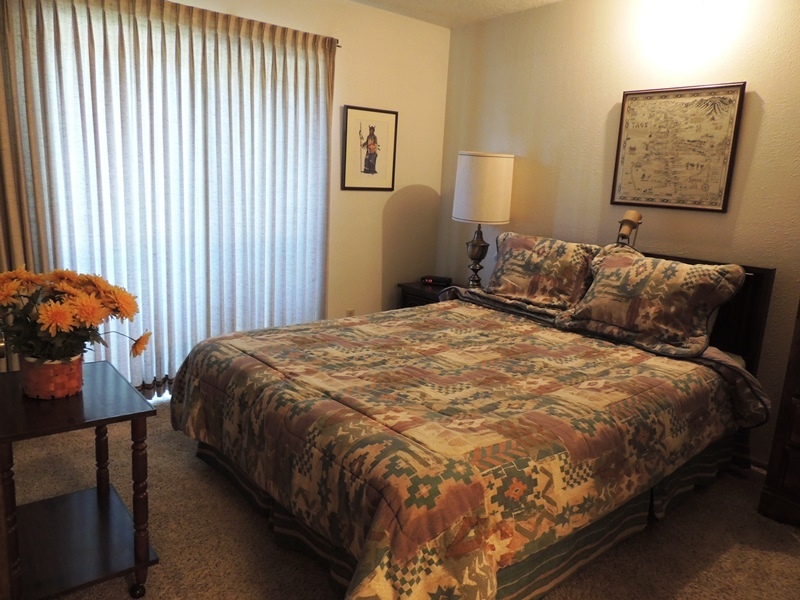 The second bedroom also has a queen-sized bed. 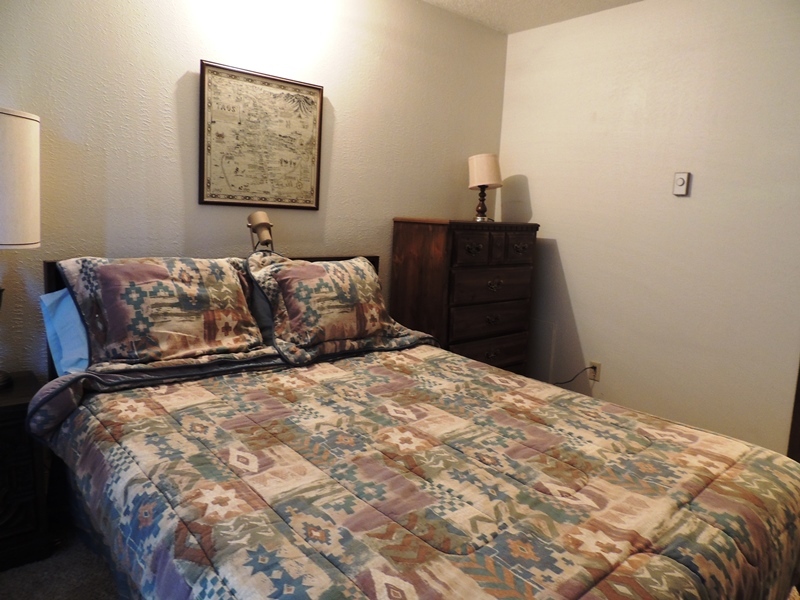 Located in a prime location – just a few blocks from Angel Fire Resort Ski/Mountain Bike Park, restaurants, and shopping.